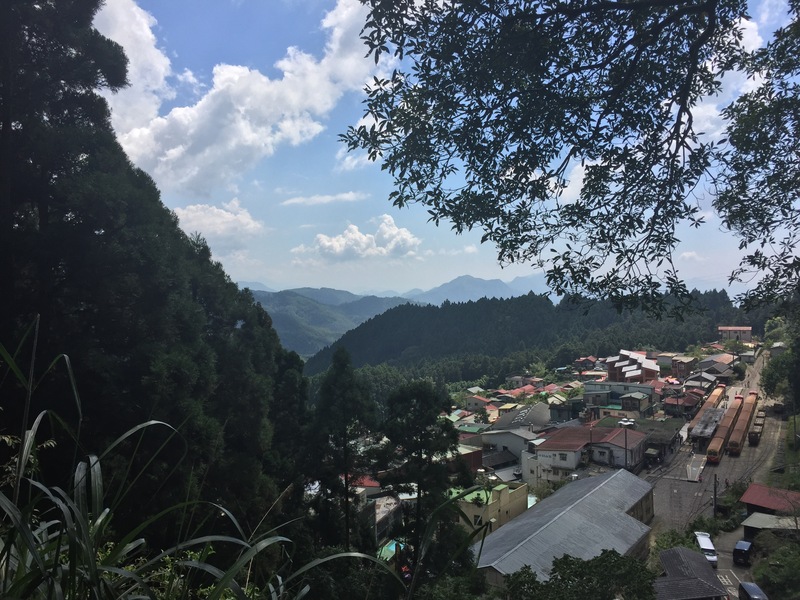 The Alishan Forest Railway currently runs from Chiayi – a major city on the west coast, to Fenchihu – a tiny little village up in the mountains. 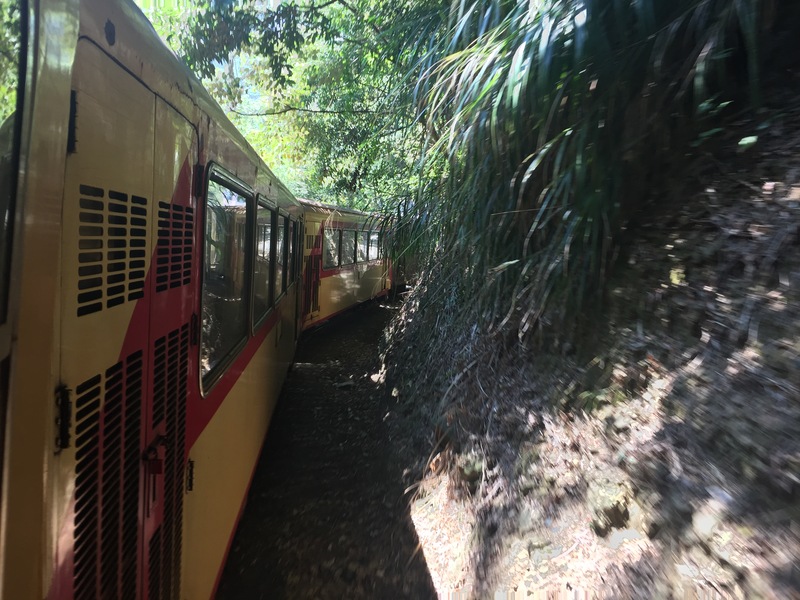 It previously ran all the way from Chiayi to Alishan but this route is currently out of action. Trains depart from Chiayi at 9.00 and 9.30am and take around 2 1/2 hours to reach Fenchihu. The train costs 384NTD or around £10pp. If you’re planning a trip from another city, it’s going to be an early morning! We took a train at 7 from Kaohsiung to Chiayi before boarding the Forest Railway. Whilst waiting on the platform, we could feel the excitement building up. As the train arrived, excited passengers jumped up keen to take lots of photographs and board the beautiful little steam train. As with all Taiwanese trains, you are allocated a seat upon purchasing the ticket and we quickly found ours and took up our seats. A word of warning to the sickly… travel sickness tablets will be needed! The train winds uphill through paths in the dense forest. The scenery is beautiful – far better than the photographs give it credit for – and you’re not going to want to be sat with your head between your knees! Upon arriving at Fenchihu Station, you immediately reach Fenchihu old street. A quaint street filled with shops selling oolong tea, mochis, fermented eggs and lots of other typical Taiwanese delicacies. 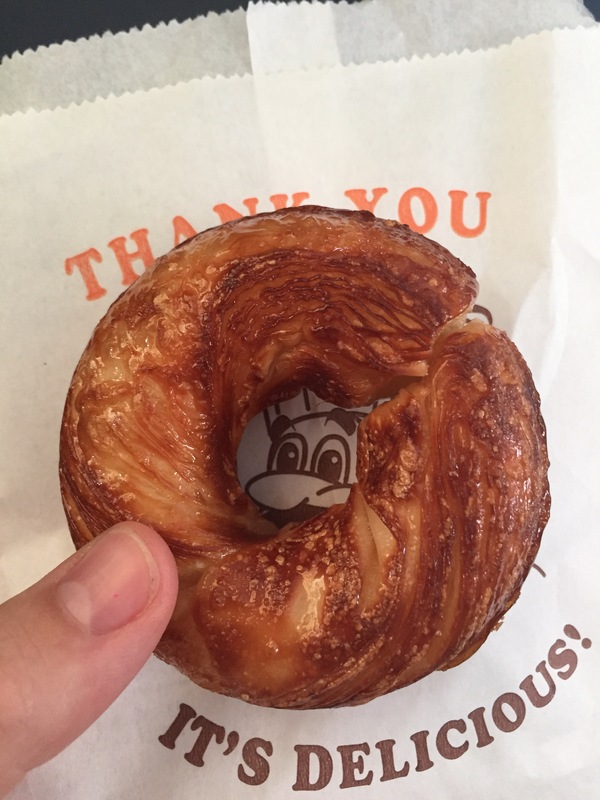 Not quite to my taste but we did find something that was… cronuts! You will find lots of little stalls around Fenchihu selling what looks like donuts only… strange donuts. Do not fear their unusual appearance! They taste like a combination of a donut and a croissant, delicious! The other must eat in Fenchihu is the lunch boxes. The cafe at the train station does delicious ones and they have a good selection of choices. Equally tasty are the boxes at the Fenchihu Hotel, underneath the 7/11, although there is only one option here. Lunch boxes basically consist of a small box with rice, mixed veggies (I wish we knew what they were but like with many things that we ate, I have no idea…) and some kind of meat. Some also have tofu and/or a boiled egg. On the side you will get a small bowl which you can top up yourself with soup. It’s worth noting that Fenchihu becomes very quiet in the evening so if you want an evening meal try to get out there early! Our final tasty Fenchihu food was a mysterious bun style treat. As we were stood looking out over the valley, we saw a big queue forming below and a lot of excitement buzzing. The stall was selling something but we weren’t quite sure what. They quickly sold out of said items and the girl put up a sign saying 3.30. Conor and I didn’t want to miss out on whatever was coming at 3.30 so we quickly joined the queue! When we got to the front of the queue, we picked three choices, sweet potato, peanut and sesame. The sweet potato was by far the most delicious and was the closest thing to a chippy pudding that I’m going to get outside of England! Almost like a suet pastry with a delicious filling. The peanut and the sesame flavours were must sweeter but also delicious and very filling. We watched as Taiwanese tourists bought batches of around 30 of these treats, we were stuffed after 3! This moment made me realise how much I love the spontaneity and uncertainty of travelling… queuing up in a line for an unknown item wondering whether you’re going to be eating frogs eggs in 20 minutes or something more suited to your taste buds. We still have no idea what these delicious bites were but if anyone else knows, please let us know! Stupidly we didn’t get a photograph but the stall we bought them from is below in the bottom right hand corner. Around Fenchihu there are lots of beautiful hiking trails through the forest. These routes include so many steps… I think our step count said we had climbed 80 flights of stairs! But they are unbelievably peaceful and include lots of lovely resting points to sit and contemplate your surroundings for a short while. We stayed for two nights in Fenchihu at the Fenchihu Street Hotel. We spent Saturday and Sunday evening here and this made it a little more expensive than if we had perhaps stayed in the week. Most of the visitors are Taiwanese families and couples visiting over the weekend so Saturday is a popular choice. That said, the hotel cost the equivalent of £90 for two nights and included a western breakfast (we came to realise this means toast, peanut butter and chocolate spread) so we can’t complain too much! Below is the view from our window. 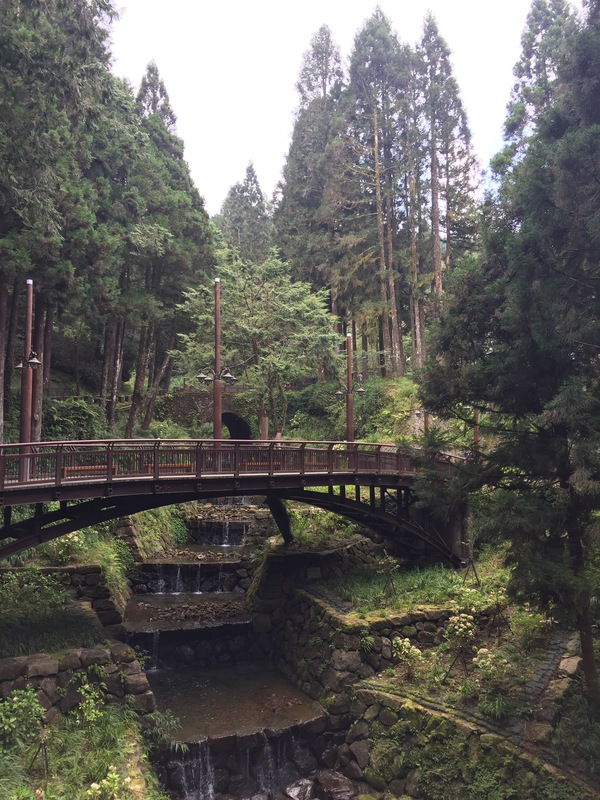 On the Sunday we decided to visit Alishan National Forest which is about an hours bus ride away. 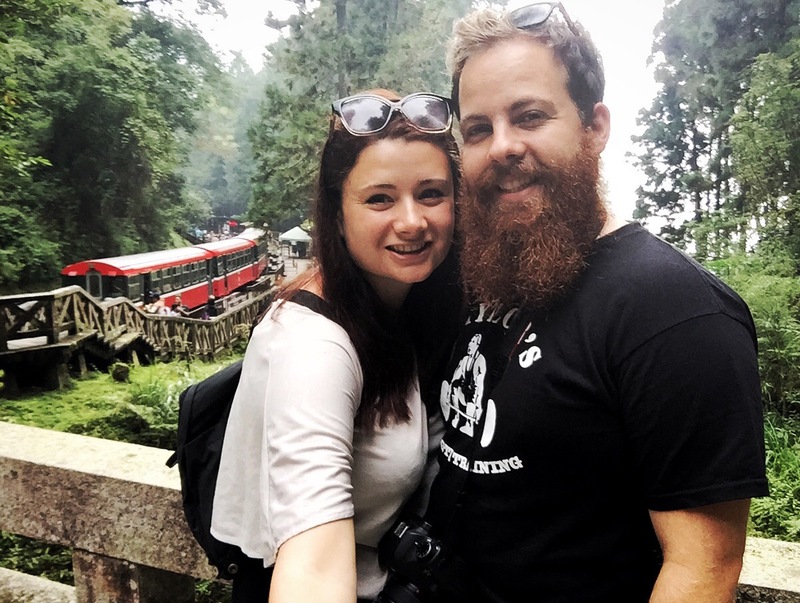 The buses between Fenchihu and Alishan are not very often so I would recommend checking the timetable in advance – or asking an English speaking local to help! We took the 11am bus to Alishan but had to return via 2 buses, leaving at 3.10pm. Not a lot of time but as much time as we needed in hindsight. Beware, this is one of the sickliest bus journeys I have ever taken and I had taken medication! Conor also felt nauseous and he never becomes travel sick. 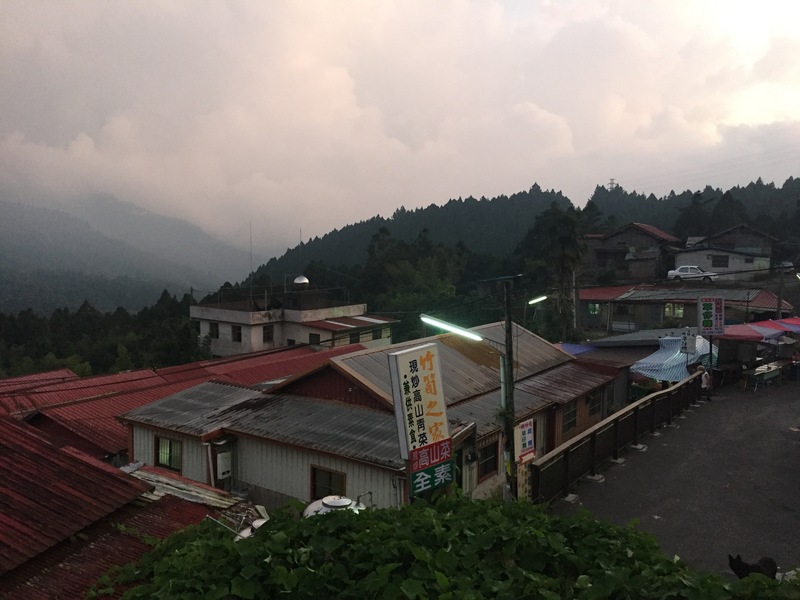 ﻿Alishan is famous for its sunrises, sunsets and it’s view of the cloud forest. 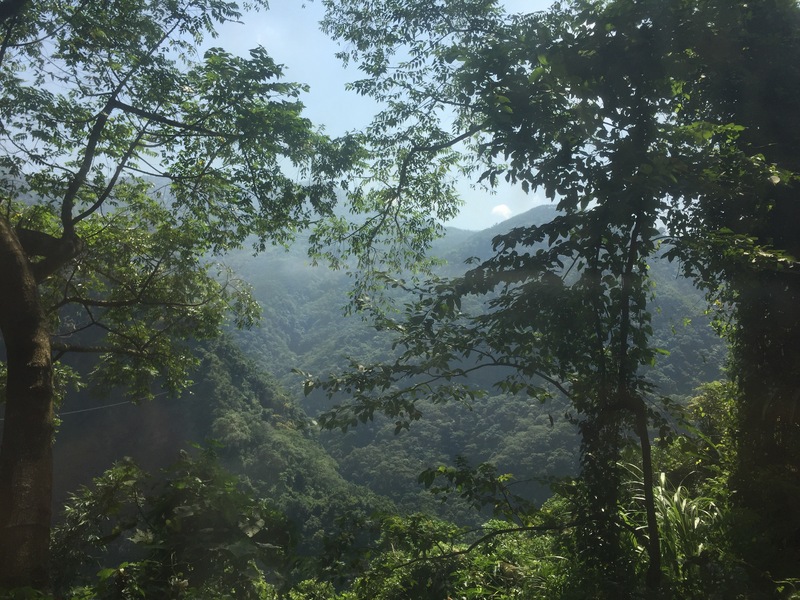 Due to the bus times, we were going to be unable to see either the sunrise or set and the view of the cloud forest was non existent on the day we visited! 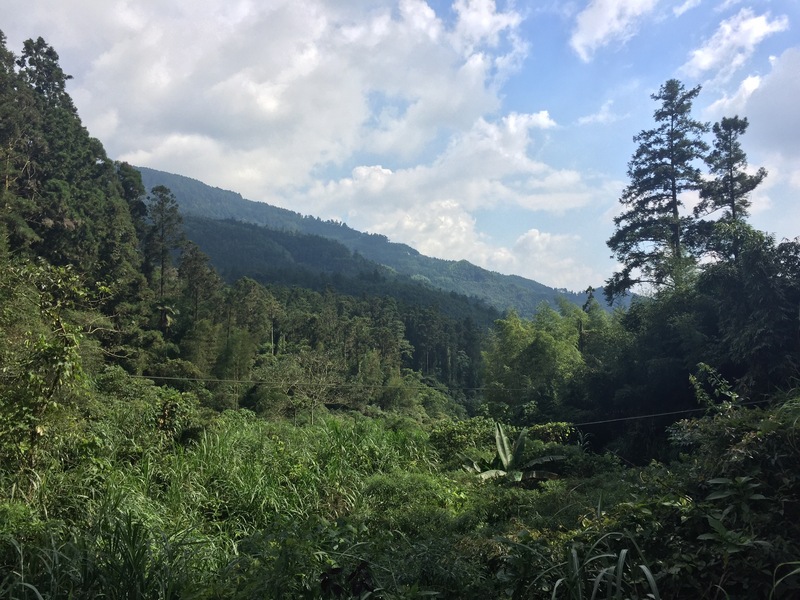 Fortunately, Alishan is still beautiful and again includes lots of trails to follow throughout the forest. 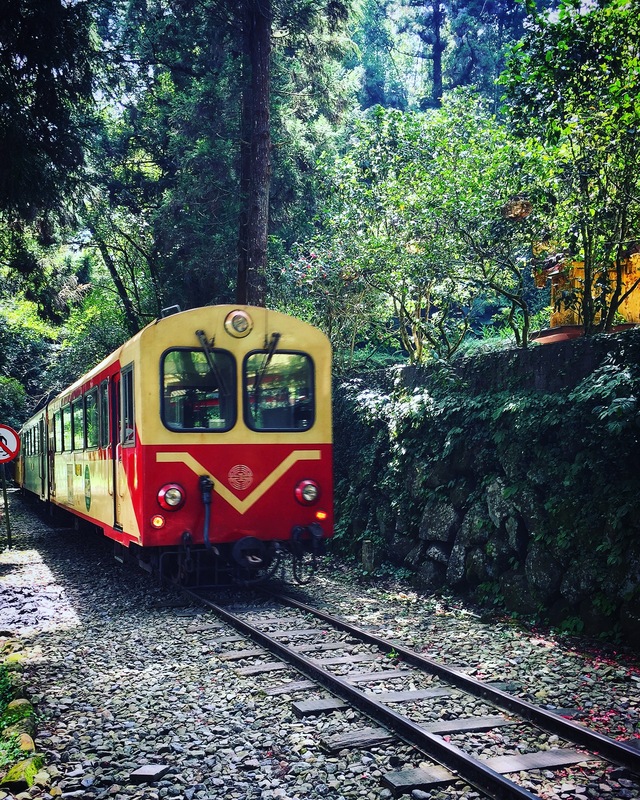 There is also another train that runs from the entrance of Alishan National Forest to further into the forest and although we didn’t catch it, it’s a beautiful sight seeing it amongst the trees! 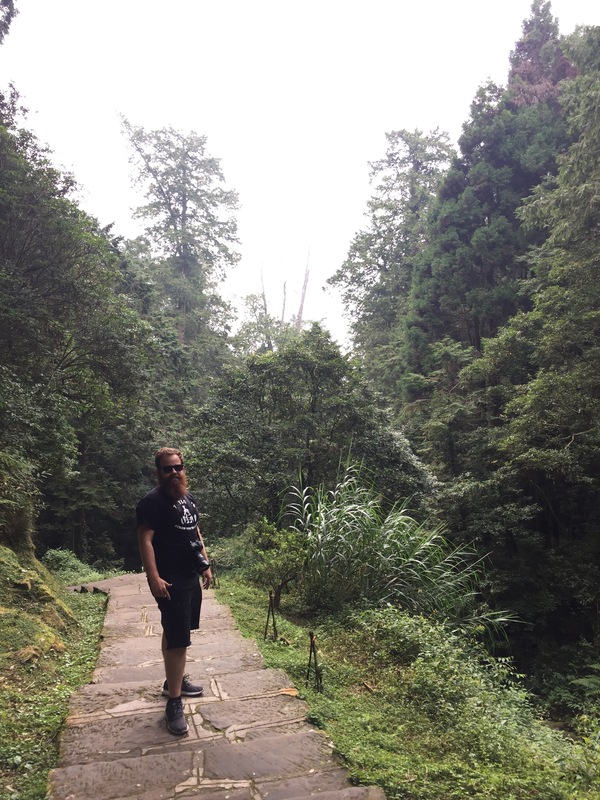 We walked along the many trails and spotted waterfalls, trees that were over 1000 years old and, naturally, some temples. A lovely way to spend a few hours. 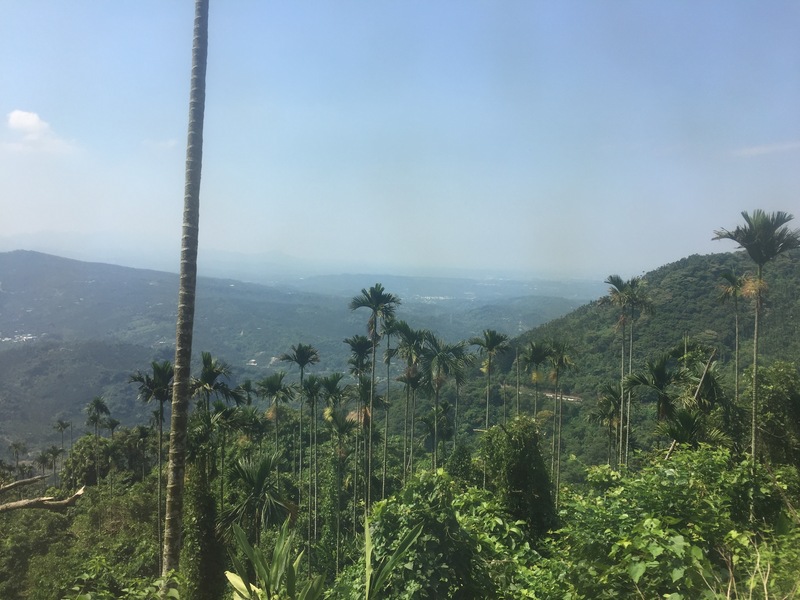 The next day, we took the bus down from Fenchihu to Chiayi so we could continue our journey to Taichung. The Forest Railway runs down but only at 2pm and we wanted to arrive in Taichung earlier in the afternoon. 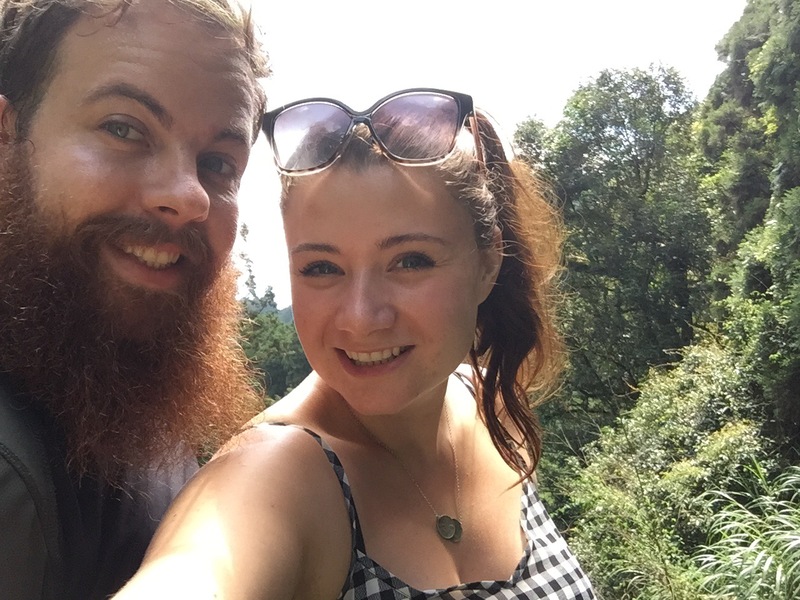 From Taichung we did a day trip to Sun Moon Lake which I’ll be writing about on here soon. 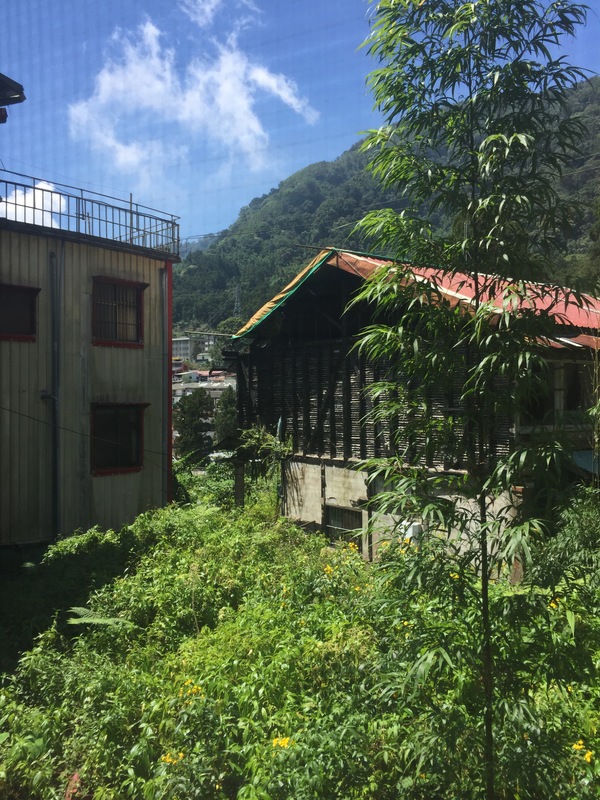 The few days we spent in the mountains were my favourite few days in Taiwan. 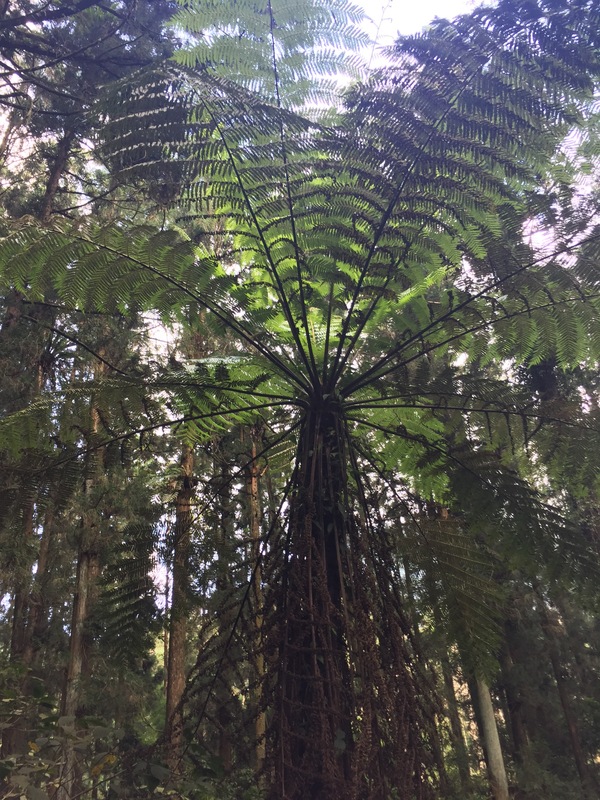 The weather was around 10C colder than everywhere else, the food was delicious and there were an abundance of hiking trails… what more could I ask for?